When it come to pie recipes, there are three elements that immediately rope me in: 1) peanut butter 2) chocolate 3) no-bake. Sold -- just tell me how to get started. This recipe has all three of these magical elements -- plus it’s grain-free and low carb! 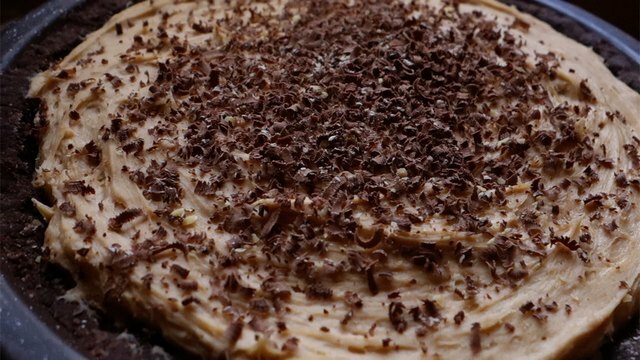 Also, unlike other so-called “no bake” recipes that require you use a pre-baked crust, this pie features a bake-free, fudge-like chocolate almond crust. So give your oven a rest and make this rich, decadent, and surprisingly simple PB cream cheese pie. 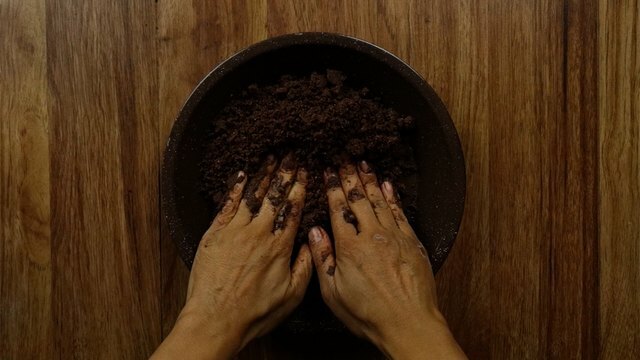 In a large bowl, mix the almond flour, butter, cocoa powder, and salt until moist and crumbly. It's easiest to use your hands. 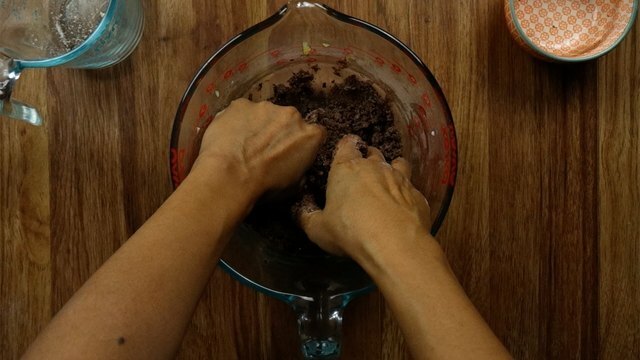 Put crumbly mixture into a 9-inch pie pan and press into the pan evenly to form a crust about ⅛ of an inch thick. 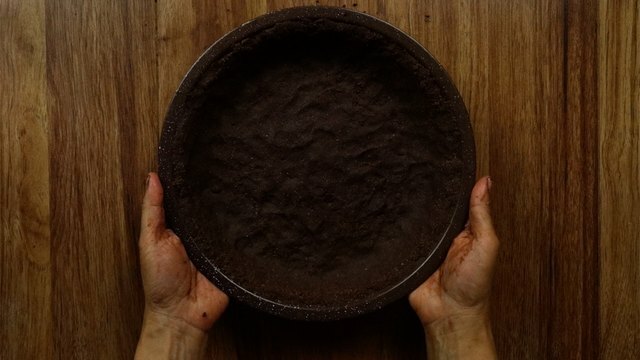 This recipe yields a fudge-brownie like crust that’s soft but holds its shape after setting. If you’d like a firmer crust and are not averse to a little bit of baking, you can throw it in the oven at 350° Fahrenheit for about 8 minutes and allow to cool before pouring in your filling. Chill your pie crust in the fridge while you make your filling. 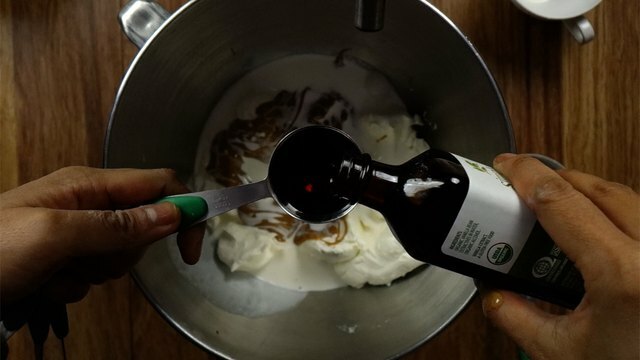 In a mixing bowl, combine cream cheese, salted peanut butter, heavy cream, powdered sweetener, and vanilla extract. 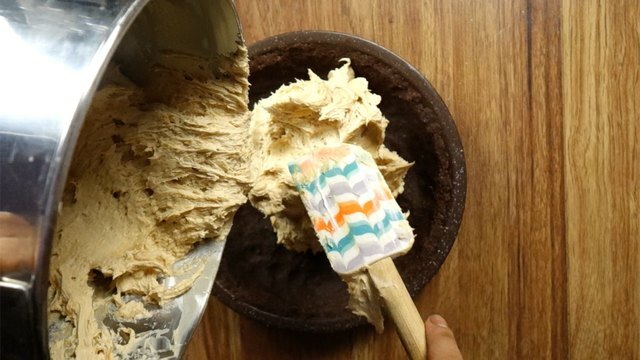 Use an electric mixer to blend until smooth, thick, and creamy. 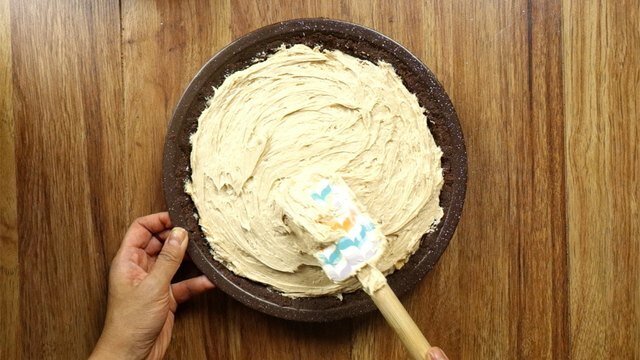 Put your filling into your prepared pie crust, then even out the top with a spatula. This is an optional step, but will bump your presentation up a notch. 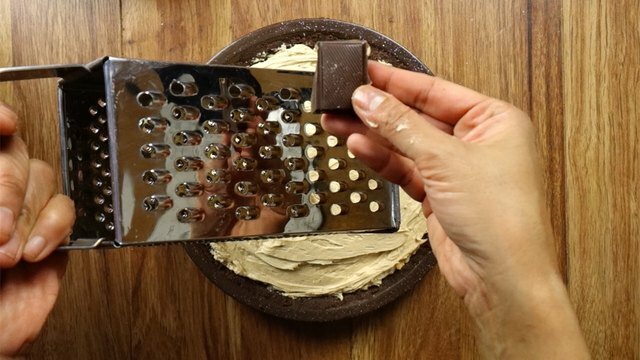 Take a piece of sugar-free semi-sweet chocolate and grate your desired amount over the top of your pie, concentrating on the center. Chill your pie in the fridge for about 2 hours to set, and it's ready to enjoy! 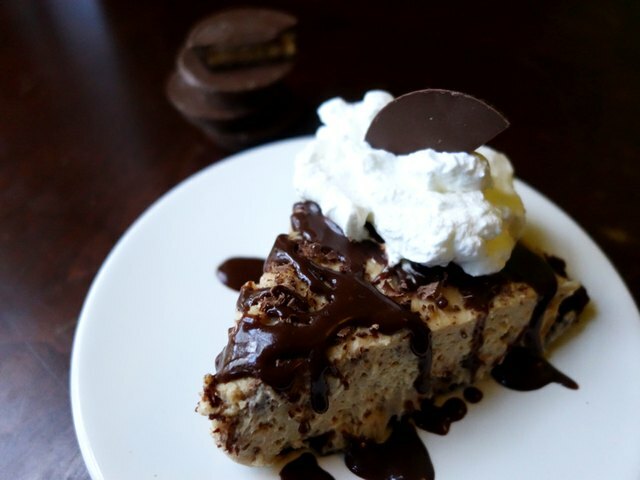 For an even more dressed-up slice, add a dollop of unsweetened whipped cream, and/or insert a half of a sugar-free chocolate peanut butter cup (I used Russell Stover brand). Voilà! 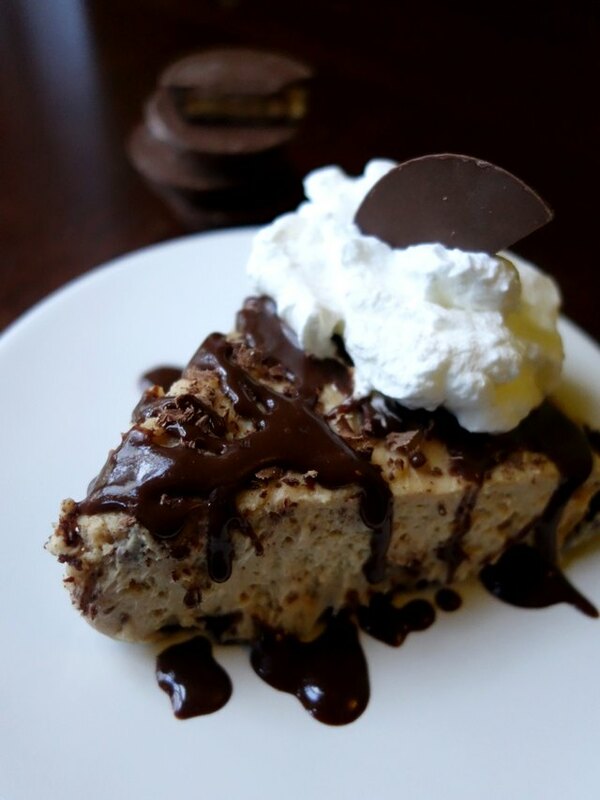 All the rich, peanut-buttery goodness your heart desires without any of the baking or the carbs. Can't beat it.